We have had some fantastic entries in our ‘Wish you were here’ campaign recently so it’s been a hard call this time around, however, our latest ‘Wish you were here’ winner is... Alderley Edge Hotel in Cheshire. Congratulations! Situated on wooden slopes overlooking Cheshire’s most desirable village, the 1850s built hotel is a real gem. Offering a superb choice of 50 exceptionally comfortable and welcoming rooms and luxury suites, this hotel offers something for everyone. 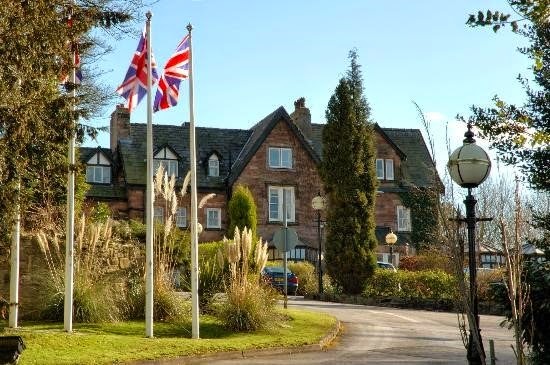 Alderley Edge Hotel is considered by many to be one of the finest restaurants in Cheshire. The award winning restaurant is among the country's top 10 per cent of prestige eating places - serving classic, exceptionally stylish cuisine with flair, imagination, extravagant twists and a creative depth of flavour. We especially love the Roasted Wild Sea Bass with Barbequed Leeks, Fennel & Apple Relish and Toasted Breadcrumbs from the A La Carte Menu – topped off with one of their signature desserts, the Cluizel Chocolate 70% with Cherries and Pistachio!